Airsys is pleased to advise that as one of the largest Motorola Solutions Distributors in Europe, we have significantly increased the volumes of all Motorola Solutions 446 SKU’s that we hold in stock. All SKU’s are purchased in container volumes resulting in the best price and next day delivery for the whole range. We are pleased to announce that our T92 container has now landed and our first container of T42’s will be arriving this month.SKU’s are purchased in container volumes resulting in the best price and next day delivery for the whole range. Motorola Solutions T92: Floating waterproof design, rugged construction and up to 10km range, the T92 H2O keeps you connected with family and friends. The integrated torch has bright white and red modes and will automatically activate on contact with water. Press the emergency alert button to activate a hands-free call and sound a loud warning tone on your radio to signal to others in your group that you need help. Motorola Solutions T42: Simple, easy, fun. 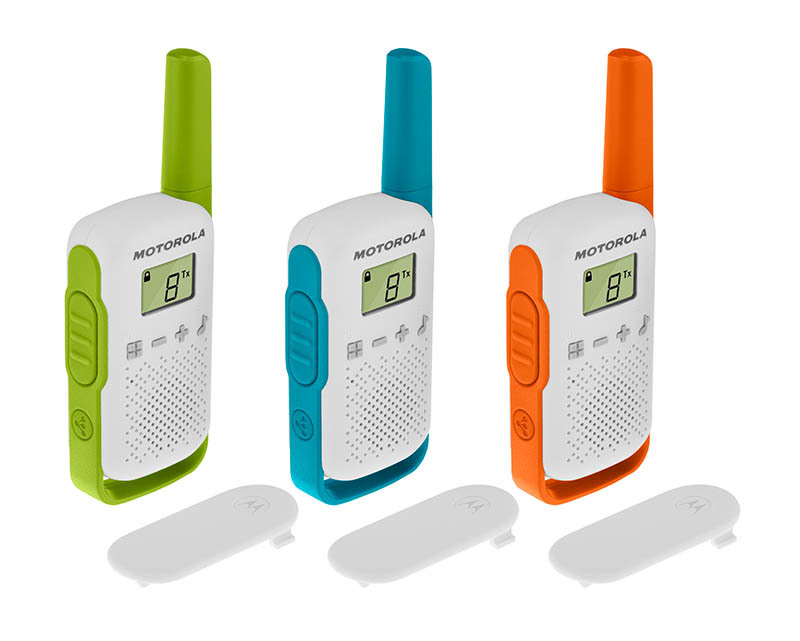 Camping, exploring, on the beach or just playing in the garden, the Motorola Solutions T42 is perfect for staying in touch when at home or out and about. Set up is simple thanks to the easy pairing function, then talk instantly to friends and family at the push of a button.